This top is sure to make your little one sparkle! 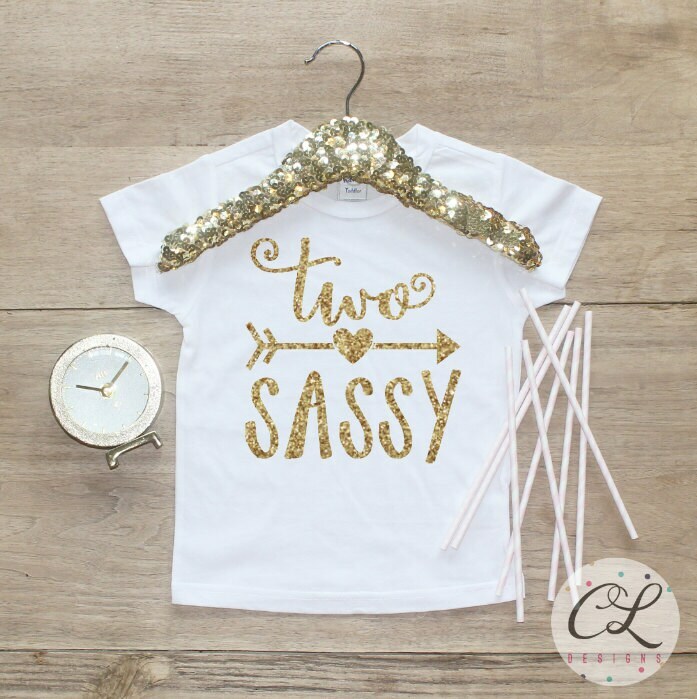 Featuring "two sassy", this will be very glittery! You get your choice of a white short-sleeve shirt, white long-sleeve shirt, or a white short-sleeve bodysuit. The super soft crew neck shirt, made of cotton-poly jersey, has everything you would want in the perfect tee: comfort and style! We, at Pop It Up Boutique, are all about providing high-quality items that are cute to boot! A totally adorable tee that perfectly describes my niece!